I used this yummy fabric bundle that Jodie helped pick out...She is the best at fabric pulling!!! You will need only 1/4 yd cuts each of three coordinating oranges, yellows and blues. Then you will need 1/4 yd. of white. Fat Quarters would work also. 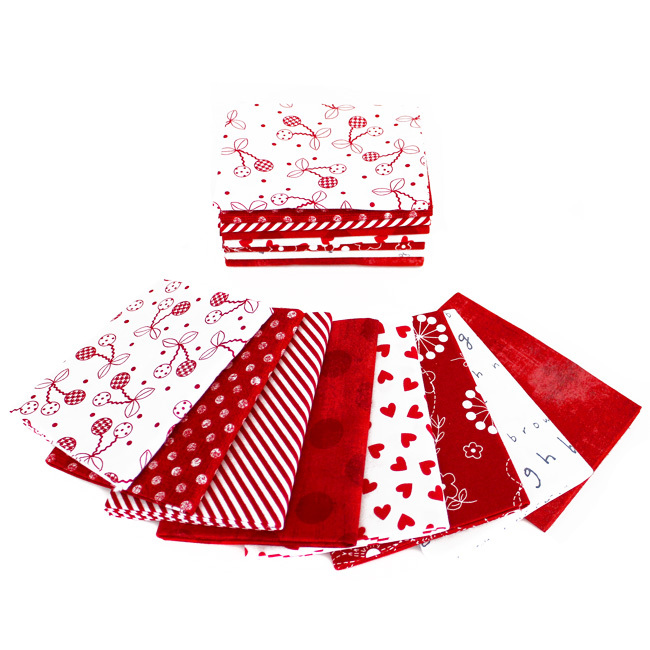 Take one of each of the fabrics and sew a strip set together. Sub-cut into (4) 1.5" x 9" strips. Cut (5) 1.5" x 9" strips of white fabric. I cut a few extras here. Sew your center block together by alternating white strips and your cut strip sets. Now to make the blocks for the outer border, you will make (3) Yellow strip sets, (3) Orange strip sets, (3) Blue strip sets. Sub-cut each to yield (2) 3.5" squares. The total number of 3.5" squares you will need: 6 Yellow, 5 Orange, 5 Blue. Layout your top like this. Sew your top and bottom borders together and then your left and right. Yay! Your top is done! I quilted it using straight lines and a walking foot. I used varying amounts of space between my quilting lines and didn't worry about keeping them straight....I like it a little wonky! For my thread I used a light orange in Aurifil's 100% cotton 50wt. To wrap it up I machine bound it in white using 2.5" binding strips. Just in case you missed them... here is the schedule for all the other fabulous mini's. I think I can fill my wall up pretty quick with these cuties! 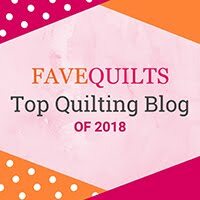 You can find and follow TheSassyQuilter on Facebook, Pinterest, Bloglovin', Instagram, Twitter or by email updates(form on right sidebar)! I really like this bright color combo. It is just a little "Sassy". I really like the colors specially the navy with circles, and who doesn't love the bright "sassy" colors ? Love the colors in the mini, thank you Sassy for the tutorial and giveaway! Those bright sassy colours!!! They are screaming Summer!!!! So beautiful and those bright fabrics are calling suuny days.Great job!! That, indeed, is a sassy quilt! It makes me think of sunny days at the beach! We all love a little "Sassy" in our quilting! Bright and cheerful mini with those sassy colors! "Sassy" is the perfect way to describe that mini! That's a pretty "Sassy" quilt! I just love a Sassy quilt with lots of Sassy color to it! it is really so bright, happy and sassy! Yay! I just love your bright and cheerful Sassy mini quilt! Thanks! How Sassy of you to giveaway these awesome fabrics. fun pattern, easy make and wow a "sassy" backing as well - good job! Oh did I say I love the fabric choice as well? I love that color combo! Keep it Sassy! I love the sassy colors you used on the mini. That is one sassy mini quilt! Thanks for sharing! A sassy little quilt tutorial with some sassy fabrics from The Sassy Quilter. Thanks for the tutorial. What a sassy little mini! Thanks!! Sweet quilt and love that it is a mini... What could be more sassy??!! Thanks for this great pattern. And I love all those sassy fabrics. Cute mini! I'm loving the sassy colors! Beautiful quilt as always, Sassy. What a beautiful quilt! Love the orange! Thanks for the chance to win! What a sassy quilt! Love the orange! Thanks for the chance to win! What a great quilt - I love the colours you used! HELLO, what a Sassy Giveaway today! Thanks for sharing a neat project! I love your mini quilt. You really know how to "Keep it Sassy"! Thanks! Great Sassy Giveaway! Love the mini quilt. Keep it Sassy!! Such a cute and sassy mini quilt! What a Delightful & "Sassy" lil' Quilt!! Full of Happy colors! Looove it! 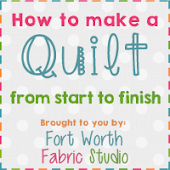 Great tutorial from The Sassy Quilter. Cute mini quilt! Love the Sassy colors and easy-to-follow directions! Love it! Thanks, Sassy Quilter! Sassy sent me over here. Thank you Sassy for offering this sassy tutorial. Super cute, even the back is fabulous and sassy! The colors remind me of a very Sassy Halloween! This is such a cute project! I love the sassy colors, especially the oranges! 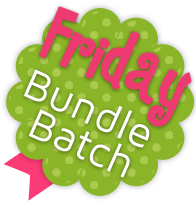 That is one sassy fabric bundle. Love it! I love the idea of quilting this with an orange thread. It really gives it *sassy* touch! These fabrics can handle it well, though with all the color and fun it brings. Stay sassy! Nice sassy colours in the quilt! It is a quilt with attitude, very Sassy. Great tutorial as always and, yes, Jodie is great at picking colors. Thanks, thanks, thanks. What sassy colors! Love the prints on these happy fabrics. Love you little mini quilt too. sassy little quilt and very sassy colors. I can see making some more sassy projects with the leftovers, such as some fun hot pads for my sister who is moving soon! love the orange and blue fabric color choice. Love the colors. Thanks for the giveaway. I love orange. Very sassy. Thanks for sharing the tutorial. I couldn't see it was strip pieced until the tutorial. How sassy to sneak that in! The back of this mini is just as sassy as the front! Thanks for the tutorial. Such a cute little sassy quilt. I need one also. That is the prettiest "broken" sunrise I've ever seen. You are sew SASSY! Watched this sassy quilter create this mini - love her use of modern colors! Those colors are sassy--cute mini quilt. Love it! Thanks for the give-a-way. I love the "sassy" colors in this "Broken Sunrise" mini quilt! You're right, BTW. Jodie does an awesome job of pulling colors & patterns together for GREAT bundles!